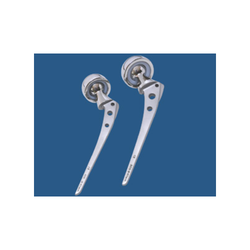 We are leading manufacturer of Bipolar Hip Prosthesis (Non Fenestrated) and our product is made up of good quality. The all metal implant consist of stem and polished head (Diameters 38 - 56 mm). 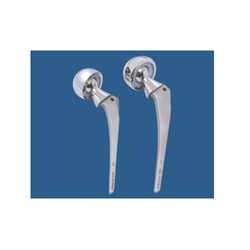 Bipolar hip prosthesis manufactured with utmost precision, in the state of the art technology for accurate fit and minimized wear. We offer a wide range of customized sizes and dimensions to enable the surgeon's preferred choice that they deem appropriate for the patient's anatomy. We have a very surgeon friendly instrumentation for Bipolar Hip Prosthesis. Looking for Hip Replacement Systems ?